YouTube has announced a number of changes to its YouTube Live streaming service that the company says will not only expand the audience for broadcasters, but also keep viewers engaged after the broadcasts have ended. First off, the company is introducing ‘Chat Replay’, which will allow users to follow the conversation even after a live stream is over. According to the company, every time viewers re-watch a broadcast, “live chat replays will show up alongside the video, exactly as it appeared live”. 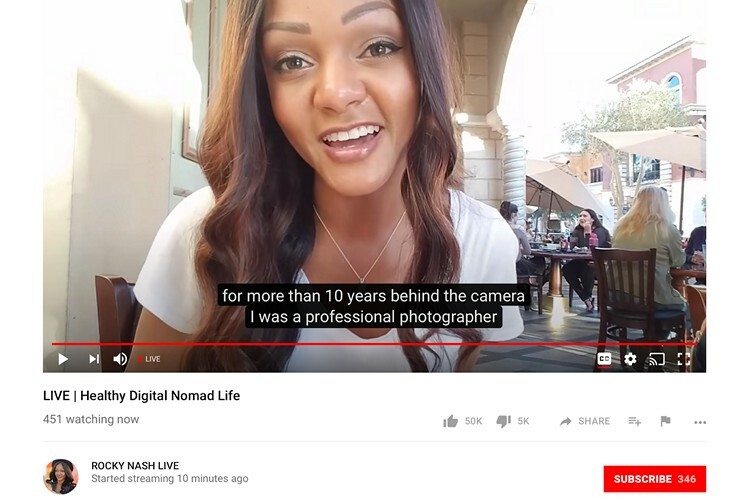 Viewers will also now get to see English subtitles automatically on live streams in case professionally-created captions aren’t already available. YouTube says it will use its live automatic speech recognition (LASR) technology to create captions that will be roughly in line with industry standards. The feature is meant to make live streams more accessible, and will be rolled out in the coming weeks. Another interesting new feature will allow creators to add a location tag to content created on their mobile phones. Viewers will be able to click or tap on that geo-tag to see other videos from that area. They will also be able to filter search results to only watch videos from one particular area. Last, but definitely not the least, YouTube is bringing IFTTT integration that will allow creators to set up Super Chat using the incredibly useful service. According to YouTube, “Over 600 internet-connected services and devices (like lights, pet feeders and confetti cannons!) can be connected to Super Chat”. The feature is already available on desktop and Android, and has just starting to roll out on iOS devices.